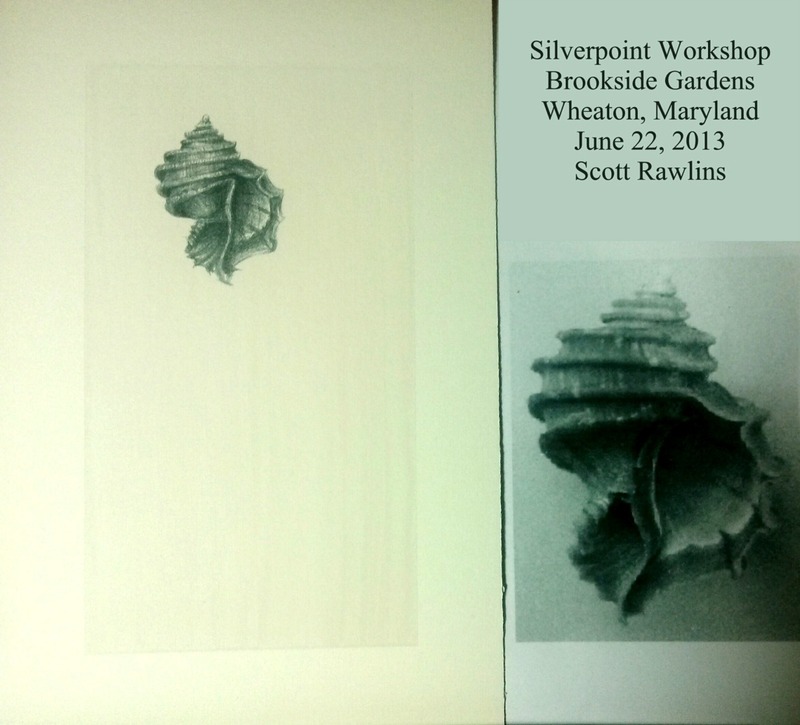 In preparation for our trip, I learned a new (to me) old technique of silverpoint at Brookside Gardens on June 22, 2013. 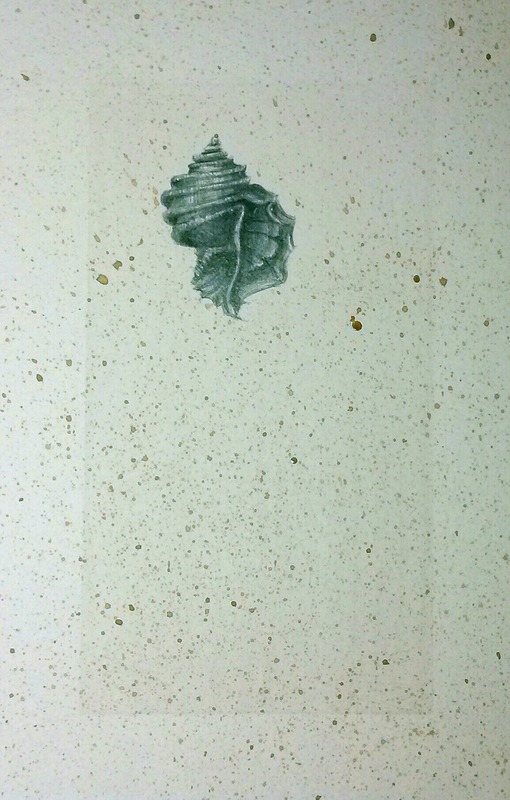 Enclosed is a sample of the silverpoint technique. Margaret and I will use this technique for field sketching in Alaska. All we need to bring is a prepared board and a silver wire in a lead holder. Tonight I prepared 4 boards for the trip. The information below explains about the professor and the class. The professor, Scott Rawlins was delightful and a fantastic teacher. Suited for advanced level in detailed drawing. Before the advent of the graphite pencil, styluses containing various kinds of metal were used as drawing tools. One of the most enduring of these was silver. ‘Silverpoint,’ as this medium came to be called, has been employed by artists from the Renaissance to the present. Silverpoint drawings are created by ‘stroking’ the surface of a specially prepared ground with sterling silver wire. Time and patience are required to build up value, but the result is a sensitive rendering that possesses a timeless quality. Participants in this workshop will experiment with silverpoint on a variety of surfaces (including one they will prepare themselves) and will learn how to tint elements of their drawings to emphasize relevant features. Registration deadline: May 31. Enclosed is information about the fabulous professor.